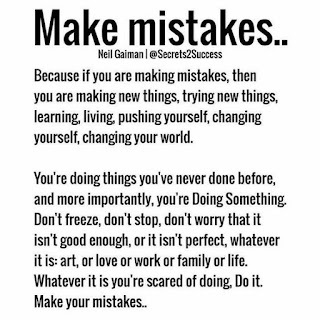 As Neil Gaiman once said "Make mistakes, because if you are making mistakes than you are making new things." Do not give up, always persevere because the path of success is always paved with obstacles and if you let obstacles put you down than you will fail. Everything in life is met with some sort of obstacle some are easy to get by and others are difficult to surpass but you always need to believe in yourself and the "I can do" no matter what your condition, situation is you can overcome this. 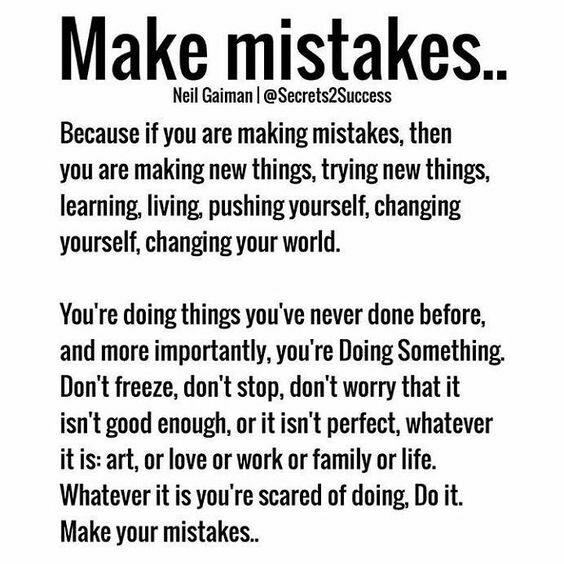 Have the right attitude going forward trial and error or taking risks is part of the thrill so enjoy the thrill and beat it down. To become rich and successful was never easy for anyone, you must throw away the "I can\t do it" and relive the moment with "I can do this." Motivation is key to success so look for something to motivate you all the time and keeps you busy and intact.